​You will sense the passion and dedication of our Australian Client Services Team who are dedicated to empowering you with the knowledge to set up and manage your event ticketing and registrations. Contact us for help getting setup, or tips for selling tickets online. TryBooking is adaptable and easy to use. 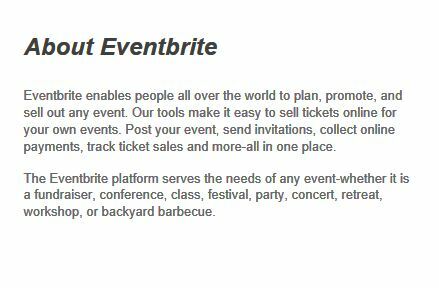 Over 40,000 event organisers enjoy the easy to use features and simple reporting. TryBooking is an industry leader who has set the benchmark for pricing and customer service. Make your event one to remember. Trybooking Is an inexpensive program that suits online enrolments for neighbourhood houses. Check It out.